I guess it is an age related thing but I am finding that in my travels, what was supposed to be the focus of the trip gets relegated back and a new interest takes its place. On a recent week-long trip to the southern end of the Reese River Valley, my intent was to thoroughly explore some of the unknown canyons on either side to the valley. The Toiyabe Mountains on the east side of the valley do contain some interesting side canyons, the Shoshone Mountains on the west side were equally, if not more, dramatic in the rock formations and such. But what caught my fleeting attention this trip is architecture. Running the length of the Reese River Valley is State Route 21, one of Nevada’s finest dirt roads, a well maintained 60 mph road (provided your tires are in decent shape). Scattered along this stretch of road are some four elegant brick houses dating back to the late 1800s and early 1900s. These fine homes were made entirely of red brick freighted down Reese River Valley from Austin. Having buildings of this size and scope are indicative of how prosperous agriculture in the Reese River Valley really was. 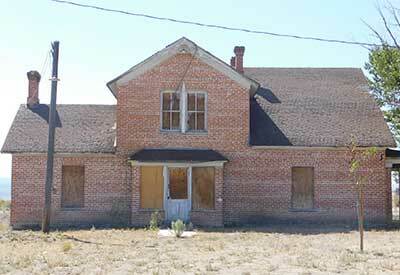 The Hess Ranch is a rather large two story house built in the late 1860s by German immigrant Jacob Hess. 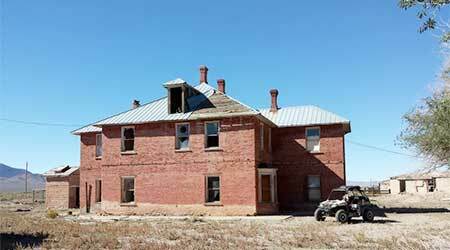 The Hess ranch house is in total disrepair and its days may be numbered. The roof is off or flapping in the wind. The windows are gone and the doors are all opened. It’s a junk heap inside. I wish I had better things to say about it. I wrote a rather extensive story about in for my Picon Drinkers of the American West page on June 8th if you would like to read more. Probably the most interesting part is the comments of people who lived there, worked there or had relatives who did. The next brick house to the south is owned by the Reese River Livestock Company and sits on what was known as the “O’Toole Ranch”. Things are looking up for this old house started in 1902 and finished in 1904. 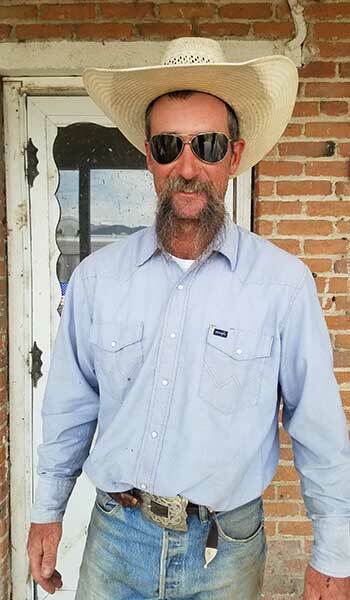 David Black (pictured) is the new owner of this ranch and has grand plans for the old structure. 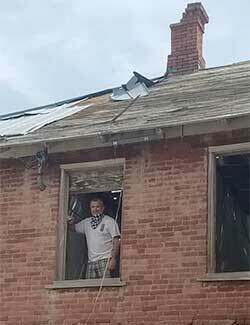 First off, he put in a new roof and fixed all the broken windows and doors so it is now weather tight. David gave me a tour of the old place and I can say this with certainty — he has his work cut out for him. All it takes is time and money with the latter being paramount. It’s a beautiful old place. 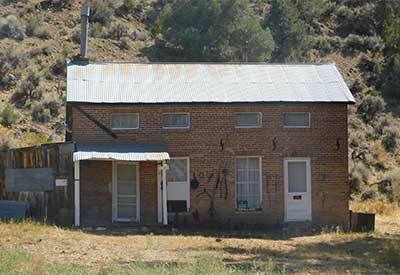 Third on the list is located on the Yomba Indian Reservation a few more miles down the road. The reservation was created in the 1930’s for the Shoshone tribe of the area. Yomba means wild carrot which are plentiful in the Reese River Valley. I have found little on this house and have conversed with the tribe down there. There seems to be not much known of this old house other than it may have been housing for the teachers at the Yomba School in years past. The Yomba Shoshone Reservation came into existence by proclamation on October 27th, 1938. This house was in existence well before that date. 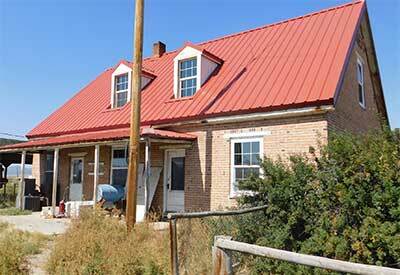 It was part of two ranches bought by the Federal Government for this reservation. 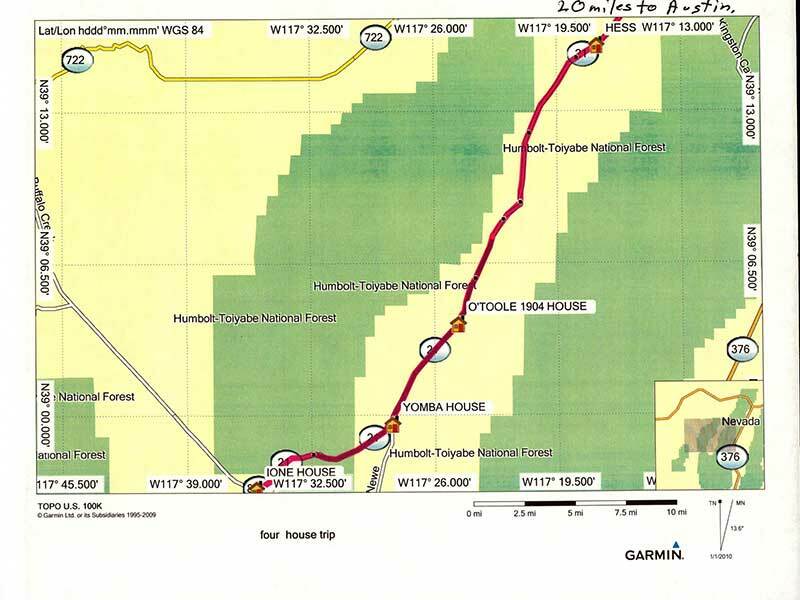 The two ranches were the Bowler and the Doyle Ranches deeding over to the tribe about 4700 acres of land. 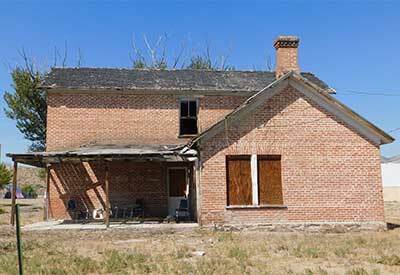 This old house sits on the Doyle Ranch so I am making an assumption (always dangerous) that the Doyle family built the house but have no other proof. However, I do think that the house predates the reservation by a number of years. This was all a part of the Indian Reorganization Act of 1934. The purpose was to give the tribes a viable economic source that would allow them to thrive economically and still remain as a tribal group. The fourth house is in Ione. It maybe not be in the Reese River Valley but close enough to be included in this dispatch. I’ve looked for any information that I can find on this house and have come up with nothing other than the picture. However, Ione in its quietness and its tree shaded canyon is worth a visit . . . even if you enjoy your lunch in the “City Park” or on the bench in front of the now closed Ore House Saloon. Plus, it is just a hop skip and a jump past Ione to Berlin-Icthyausaur State Park. I know where my next road trip is. Nice article.